Opportunities for supporting the Department of Radiation Oncology are many; in doing so you will assist one of the best academic radiation oncology programs in the country. Our dedicated teams are not only committed to superb patient care and excellence in research, teaching, and leadership, but they are creating disruptive technologies and pioneering treatments with global impact. 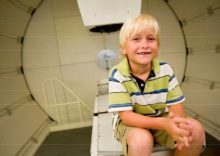 Radiation Oncology researchers are continually working to define optimal treatment approaches, produce the best plans, employ first-rate techniques, provide healing experiences for our patients, assess outcomes, and develop new treatment approaches. We invite you to become a part of their life-changing work. Below is an overview of options – which one appeals to you? The UF College of Medicine’s Department of Radiation Oncology Development staff has considerable experience in helping people create and document giving plans that are strategically developed and thoughtfully executed. Contact Carré Mitchell, Senior Director of Development, 352-273-9080, csaunders@ufl.edu, for more information. 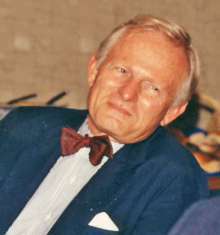 Dr. Rodney R. Million, radiation oncology pioneer and former Chair of the UF Department of Radiation Oncology. Endowed professorships are critical to rewarding existing faculty for their research excellence, as well as attracting new faculty to join the Radiation Oncology department. Providing salary and research stipends, endowed positions allow new faculty to establish the research programs and existing faculty to expand on their research or launch novel research projects. Together we can move the field forward! Funds that support professorships in Radiation Therapy, Radiation Oncology, and Proton Therapy as well as our clinical research efforts include the John P. Cofrin Professorship in Radiation Therapy, the Rodney R. Million, M.D. Chairman’s Professorship in Radiation Therapy, the UF Resident Alumni Professorship, the Thomas P. Mitchell Professorship in Physics, the William and Joan Mendenhall Professorship in Radiation Oncology, and the James E. Lockwood Professorship in Pediatric Proton Therapy. To support teaching, resident education, research and academic programs in Radiation Oncology, consider giving to the Radiation Therapy Fund, the Radiation Oncology Clinical Research Endowment, the David Fink Radiation Oncology Endowment, the Clenon Newsome Radiation Oncology Research and Education fund, and the Amdur/Mendenhall Radiation Oncology Lectureship. Research in radiobiology, prostate cancer, angiosarcoma and metastatic cancer are supported by funds including the Clinical Physics Research and Development Fund, the Research in Radiobiology fund, the Prostate Cancer Research Fund, the Shermanitta M. Benson Angiosarcoma Cancer Fund, and the Metastatic Cancer Research, Technology and Patient Program Fund. Radiotherapy remains the most important nonsurgical treatment in the management of solid malignancies with around 50% to 60% of all patients with cancer receiving this treatment, but many patients experience local recurrence with metastatic disease. Malignant tumors possess mechanisms for evading host immune responses. A novel mechanism that tumor may evade host immune response through the expression of PD-L1. PD-L1 expression has been observed in a wide variety of solid malignancies, and might be correlated with the higher malignant grade of tumours, increased tumour growth, and the patients’ prognoses. It is found that radiation improves antitumor effect of immune checkpoint inhibitor via enhancement of tumor cell PD-L1 expression. Emerging evidence suggests that the generation of antitumor immune responses might play an important role in the effectiveness of radiotherapy. We hypothesis that tumor phenotype associated- and radiation induced-PD-Li gene expression signature is a key biomarker in predicting heterogeneity of antitumor immune response. This project is to fill in the gap by investigating PD-Li which is potentially responsible for the difference of antitumor immune response existing in breast cancer subtypes. We will test the hypothesis using in vitro model. The findings obtained in the project will could lead to strategies that would improve and enhance the effectiveness of immune checkpoint blockade therapies, contribute to personalized medicine in cancer therapy, and leverage in accumulating solid data for successful application for external grants’ supports. Breast cancer, the most commonly diagnosed cancer and the second leading cause of cancer death among American women, is a top public health priority in the US. Indeed, one in every eight women will develop breast cancer in her lifetime. Estrogen and estrogen receptors (ERs) play an important role in the process of breast cancer tumorigenesis and progression and in predicting endocrine therapy response. However, ER status is not a flawless predictor for therapeutic responsiveness because ER transactivity can be modulated by various cofactors and cross-talked with other growth factors. Pax transactivation interaction protein (PTIP) associated protein 1 (PA1) has been found to interact with ERs and activate their transactivity (PMID 19039327). Our team has found that PA1 inhibits the transactivity of the nuclear receptor super family members, glucocorticoid receptor (GR), and androgen receptor (AR) (PMID 23161582). The extensive role of PA1 in modulating ER, GR, and AR transactivity prompted us to investigate PA1 protein levels in breast cancer samples. We found that PA1 correlated with non-aggressive clinicopathological factors and longer survival times for lymph node-negative patients; moreover, patients without recurrence exhibited higher levels of PA1 (PMID 24260416). PA1 was also found to work with PTIP in DNA damage response induced by irradiation (PMID 19124460). This study will have a broad impact on breast cancer patients. In terms of its long-term impact, this project will not only advance our knowledge of the role of PA1 in breast cancer tumorigenesis and progression but also provide a new treatment target that will advance the movement towards a cure for this deadly disease. Our research is in line with Radiation Oncology’s top1 research priority and treatment mission to suppress tumor cell proliferation and reduce damage to patients normal tissue with reduced radiation doses. Our team is very close to firmly establishing that PA1 is a therapeutic target. The competition for federal grant dollars is fierce and requires proof of concept in order to be seriously considered. Seed grants allow faculty to test out novel ideas and concepts, proving them to be viable, before submitting applications for further funding. And for every dollar invested in seed funding, approximately $13 is returned in additional extramural funding. To illustrate this point, Assistant Professor Walter O’Dell, PhD, received a $50,000 seed grant from a local organization to fund the initial stages of his work examining the effects of radiation therapy on the lungs of breast cancer patients. Ultimately, however, his research was found valuable enough to receive grant funding of almost $1.5 million. Seed funding provides a critical edge for faculty as they seek additional grant funding or collaboration opportunities within the department or with external partners. Seed grants often lead to proof of concepts that allow faculty to move forward with successful applications for state and/or federal research grants. Importantly, seed grants jump start new discoveries that might not otherwise move past the idea stage and foster collaborations between the Radiation Oncology department and UF Proton Therapy Institute (UFPTI) cancer researchers. Such interactions can bring new and exciting directions and focus to our research efforts. Radiation Oncology Continuing Education events, like our annual Annual Research Seminar, offer high-quality learning opportunities for students, alumni and working professionals. We utilize faculty to help identify needs and develop programs addressing a wide range of subjects. Our need to progress to frameless stereotactic radiosurgery equipment cannot be stressed enough. Stereotactic radiosurgery combines stereotactic localization with multiple cross-fired beams from a highly collimated high-energy radiation source. Over the last three decades, this method of noninvasive ablation has been an effective alternative to conventional neurosurgery, cranial irradiation, and brachytherapy, for selected small cranial tumors and arteriovenous malformations. The use of 3D printing by scientists and researchers is only growing, as 3D printing has the ability to offer superior, tailored results in a cost-effective manner. Specifically, advanced 3D modeling will assist our physicians during highly targeted stereotactic radiosurgery, as well as our physicists as they create more accurate views for complex cases. Ultimately, 3D printers will serve to deepen our understanding of these challenges and help us to discover the treatment that would best suit an individual patient. Currently, 3D printing technology is rapidly expanding. Our immediate needs include printing three-dimensional anatomy featuring embedded tumors and vasculature. To achieve this goal, we are seeking printers capable of simultaneously printing in multiple colors (e.g. red for arterial vessels, blue for veins, and yellow for both lym­phatics and ureters, to assist with renal cancer patients) and with the ability to create transparent objects so that the internal tumor and related anatomy can be appreciated. There are promising new directions in the realm of MR imaging with increased use of morphological and functional MRI for adaptive radiotherapy and promising results showing better evaluation of treatment response and improved outcomes for patients. We are transforming medicine and making strides in targeting tumors. An MR-linac system, which relies produces diagnostic-level image quality during therapy sessions, will allow for more precise treatment, including higher doses targeting sensitive areas and an instant understanding of the ways in which the tumor is being affected by the radiation. We welcome your questions regarding projects proposed by Radiation Oncology scientists and scholars and we would like to match your interests with our own. Contact Diane Gebhardt, 352-265-8470, dgebhard@ufl.edu, or Carré Mitchell, Senior Director of Development, 352-273-9080, csaunders@ufl.edu, for more information.